to GFWC about herself and her club. An eight-year Air Force veteran, Penny has been a GFWC member since 2008, and is currently serving as the club president of GFWC Helena Woman’s Club (Montana). She was selected as the 2013 Montana LEADS candidate in Hollywood, Fla. Penny is a leader in her club and community, and has used her personal and professional experiences to enhance the lives of others. What roles within your club/state federation led to your selection as 2013 Montana LEADS candidate? I’ve had so many different jobs and experiences living in different countries and meeting people all over the world. I make friends easily, because I’ve always moved around. It’s part of my personality. I also think my talents and experiences lent themselves to this club and its growth. I volunteered to create a website for our club, and was then approached to build the state website. 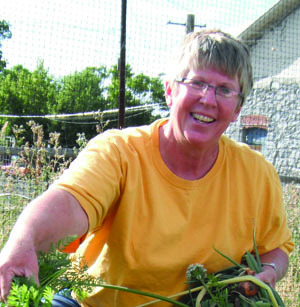 I’ve taken on the leadership of our gardening plots for the food share in Helena and I’m currently serving as club president. I’m happy to follow other’s leads, but I’m confident to step up and share my skills or talents when I need to. What I found most surprising and wonderful was the connection with all of the other LEADS candidates. I feel as if I have 44 friends for life. Describe your 2013 LEADS experience. I wasn’t sure what to expect, but I was eager and excited about the opportunity. The content we were taught during that day was so valuable and pertinent. The conflict resolution skills I found especially helpful and I’d really like to bring that back to my club. What I found most surprising and wonderful was the connection with all of the other LEADS candidates. I feel as if I have 44 friends for life. I’m really interested in bringing LEADS to Montana. I think it’s an excellent benefit for members and would be a great draw for potential new members. How and why did your club start the Placer Pantry? 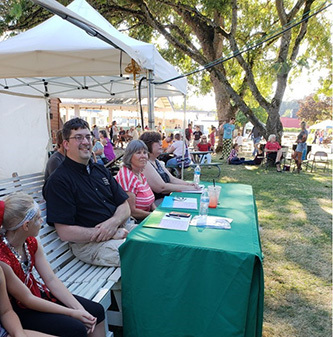 Our club has a long history with the YWCA and have become its “go-to gals” on a number of projects. The local executive director noticed there was a gap in the community in the provision of toiletries for people who couldn’t afford them and had a vision of turning the basement of the YWCA into a community store. We just hit the ground running. We are the shoppers and the stockers. We built up a starting inventory out of our own pockets. We also staff and run the store, which is open one hour on Tuesdays and Saturdays, and we always have three club members there to staff it. We’re really proud of the project, which serves at least 150 families a month. What are the club’s future plans for the Placer Pantry? We want to be sustainable. We have to figure out a stream of replenishing inventory other than simply having fundraisers. We’re looking into products we can make ourselves. I found a recipe for laundry detergent that’s easy to make and very inexpensive. Moving forward, we may try to advertise our club and the pantry at local stores by handing out shopping lists to customers and collecting products there. We really want to get more of the community involved in supporting this resource. It’s still in the growing process. What advice would you give another club that is taking on a similar project? I would encourage any club to just do it. Form a committee and find out what your community needs. Once you’re aware of the need, the work becomes simple and fulfilling. It really galvanized our club and has become the glue that holds us all together. It’s constant and ongoing. It’s really become the backbone of who we are now. 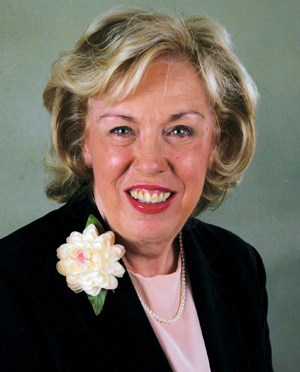 A clubwoman for 40 years, GFWC International President Mary Ellen Brock has served on all positions of the Executive Committee, GFWC New Jersey Legislation/Resolutions Committee member, GFWC New Jersey Past State President’s Club President, and North Jersey Women’s Club Treasurer.